Dad's Army has been an enduring highlight of the small screen since its debut on British television in 1968. The show, which follows the exploits of the Home Guard of Walmington-on-Sea, a fictional seaside town on the south coast of England, ran for nine series in total, comprising 80 episodes, and regularly attracted viewing figures of over 18 million at the height of its popularity. Today, it is still shown weekly on BBC 2 and was recently placed fourth in a BBC poll of Britain's Best Sitcoms Ever. The show has permeated British society, with the characters' signature catchphrases (particularly Captain Mainwaring's 'Stupid boy!') having entered the lexicon of popular culture. Such is its appeal that in August 2008 Jonathan Ross paid tribute to Dad's Army with an hour-long special, looking back on the show's success and reliving its funniest moments. Yet Dad's Army is also credited with drawing attention to the important role that Local Defence Volunteers (later known as the Home Guard) played in the Second World War, in guarding coastal areas of Britain and other important industrial and military sites such as factories and explosives stores, and in observing and reporting enemy aircraft. Bill Pertwee found fame as ARP Warden Hodges in the series and has put together a comprehensive tribute to all aspects of the show. 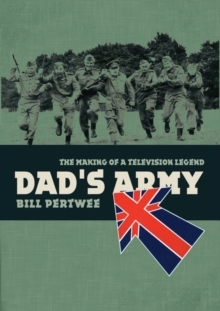 This book includes extensive features on the two creators of Dad's Army, Jimmy Perry and David Croft, along with biographies of the whole cast of actors who brought this British comedy classic to life, paying particular attention to such memorable figures as Arthur Lowe (Captain Mainwaring), John Le Mesurier (Sergeant Wilson), Clive Dunn (Corporal Jones) and Ian Lavender (Private Pike). As an integral part of the show itself, Bill Pertwee is uniquely positioned to give an intimate view of his co-stars, their families and the supporting production team. His colourful account includes many hilarious incidents on and off the set, such as filming for Columbia Pictures and being invited to tea at 10 Downing Street. Numerous colour photos as well as a fine selection of well-reproduced original stills supplement the informative text, and a full episode listing is included, together with articles on the many Dad's Army spin-offs and side projects, including the highly successful stage play, movie adaptation and radio series.